The Christmas countdown begins! How are you doing on your holiday shopping? I’m happy to say that I’m pretty much done. Normally I wait till the last minute, but this year I started a bit earlier and spread buying the gifts over time. I’ve got everyone crossed off my list – yay! I may pick up a few more stocking stuffers if I see something on sale. I even have gifts for my two fur daughters, Princess and Misty. I couldn’t forget about them. They are part of the family too! Do you purchase gifts for your pets? I like to buy my cats a little something. Bridget is more than helpful opening their gifts and showing the cats what Santa brought for them. They’ve been good all year despite the upheaval of having to move across Canada. They’ve adjusted and are happy in their new home. 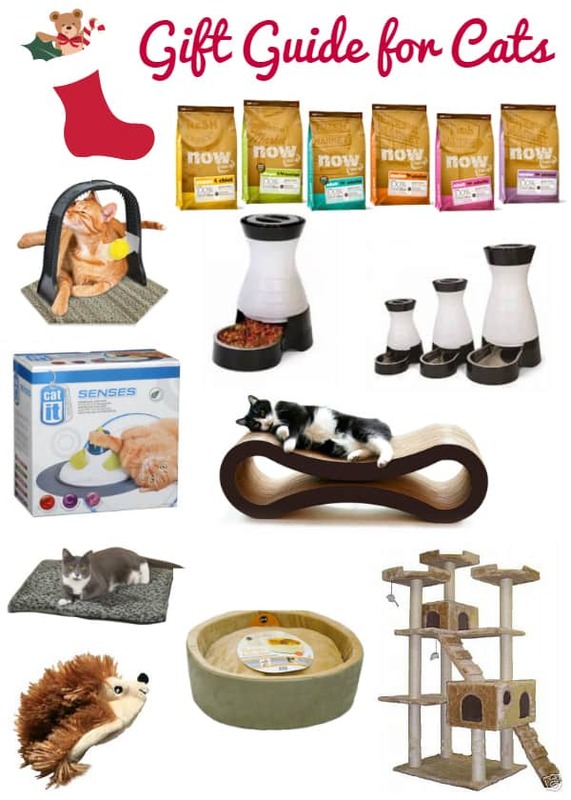 I’ve selected ten gift ideas for your cat in my Gift Guide for Cats. You can order online or visit your local pet store to find these items. I picked some practical products, comfort items and threw in a little fun gift ideas too. My cats love eating Petcurean NOW Fresh dry cat food. It’s filled with nutritious ingredients like 100% market-fresh turkey, salmon and duck, 100% fresh Omega 3 and 6 oils from coconuts and canola, berries, fruits and veggies like peas, spinach, pumpkin, kelp, carrots and more. It is grain free, zero by-products and no artificial ingredients. If I were a cat, this is the food I would want to eat. 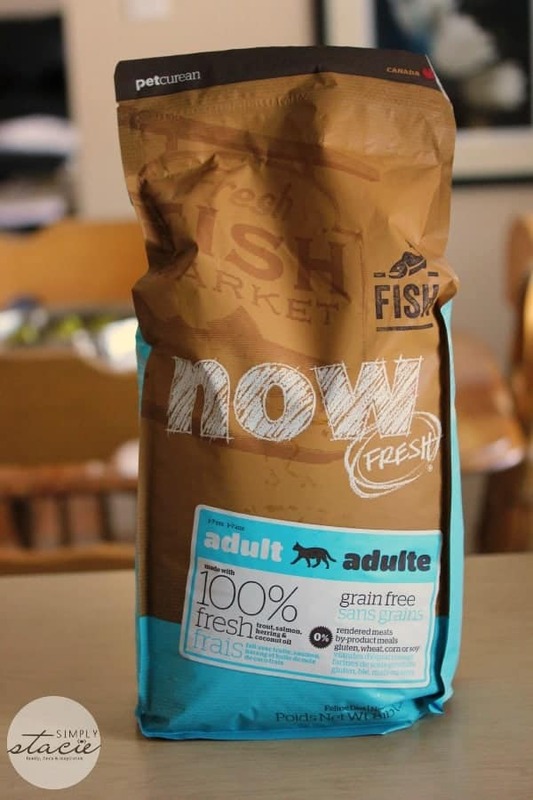 NOW FRESH Fish dry cat food is one of Petcurean’s newest recipes. It’s made with 100% fresh trout, salmon, herring and 100% fresh Omega 3 & 6 oils from coconuts and canola. Like many cats, Princess and Misty go wild over the taste of fish so I knew it was a safe bet that they would enjoy this recipe. And I was right! It was a winner with my girls. Want to buy NOW FRESH recipes for your cats? Find a retailer near you and also get a coupon for a free trial bag (valid in USA & Canada). Visit Petcurean to learn more about their pet food and other important information about health & nutrition. cats have got it made! I love the Go Pet Club Cat Tree! Makes me wish I were a cat…love it!! The heated cat bed might be a great idea to give me extra space in my own bed. 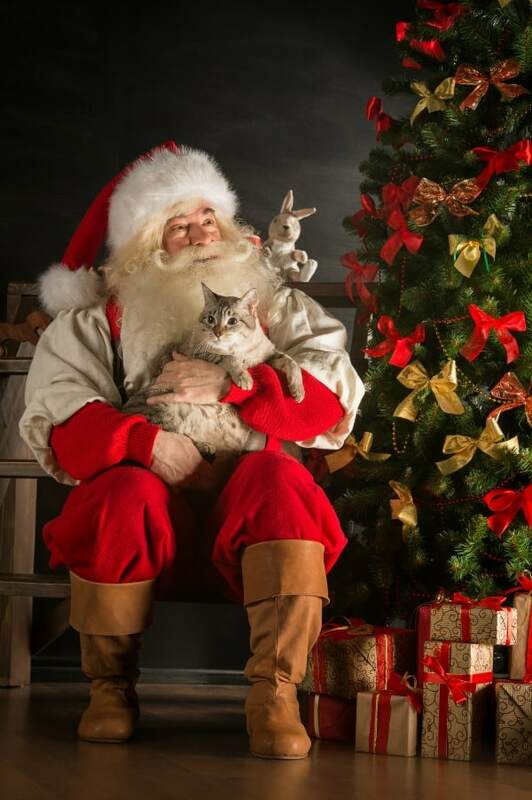 My two cats haven’t exactly made the “nice” list for Santa, but even so, I bet they receive some Christmas presents. The Go Pet Cat Tree would be perfect for them, but maybe next year. I was not aware that heated cat beds existed! Thanks for the list. Love this post! I do buy for my pets. We have dogs, but they always get something. They have their own stocking, and the little poodle we had even got wrapped treats because he would try to open them. What a tree house, and that massager!!! Merry Christmas, Kitty! My sister has three cars and they are her babies. I always purchase gifts for them and I am glad you listed some items I could purchase that I may not have thought ot. I love some of these ideas! Yes, I shop for my cats too. lol. This year, they’re getting a cat grass chia pet. Cats are so adorable and getting them a nice gift is a must. A heated cat bed is awesome. I know my elderly cat would love this! I am thinking of switching my cats over to Go! – they are the same age, from the same litter and one likes fish and the other likes chicken more. OMG. And they hate health food. Thanks for the fun suggestions! I need to pick up a few things for my cats’ stockings. Cats are a lucky species and I love them. I love the gift guide for cats, especially the chia pet for cats. Thanks so much for this review. Our cats would love that cat tree! We have 2 cats & 2 dogs and they all have their own stocking. They all get spoiled at Christmas! Just sent my husband the link for the Go Pet Club Cat Tree – looks like the kitties are getting a new apartment for Christmas! Thanks! Of course there are gifts under the tree for the kitties! Love the kitty condo choice! We do buy gifts for our cats. We have one that loves feathers, one that loves foam (the type you use to cover hot water pipes) and one that loves mice. We just discovered one likes helium balloons. I am not a cat owner but I used to volunteer at the Humane Society, and I’m sure any cat would love these great gifts. Thank you for sharing this post. I am a cat lover with two of my own. I buy toys and cat nip and a lot of others things as well. Of course the best thing I do bring home is a cardboard box, they love them. My cats would love the cat tree, perhaps the male will share it with the female as well. I learned a lot of excellent ideas for gifts for my cat. I love it,some great ideas for the kitties on my list!